2. 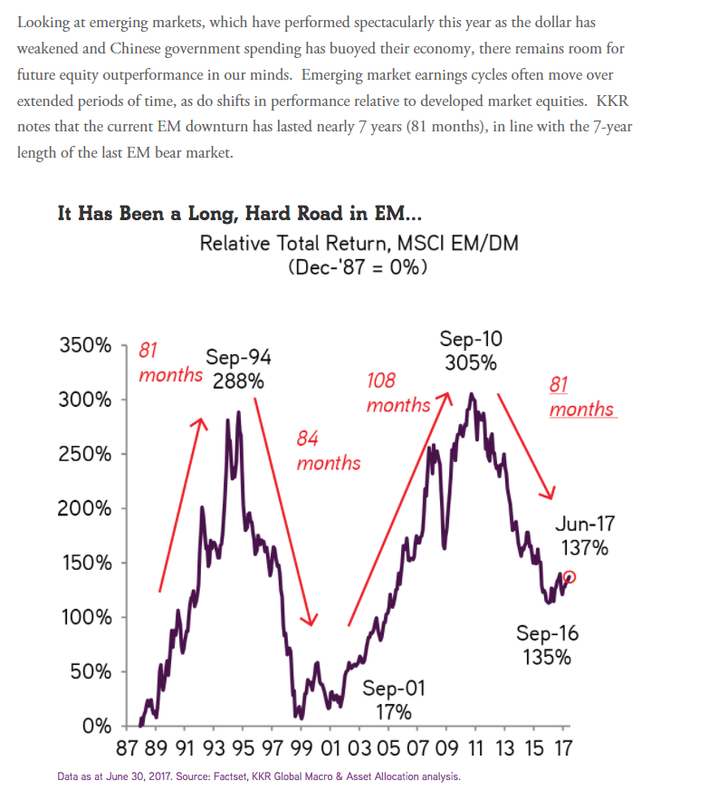 Emerging Markets-A Great Look at the Cycle. 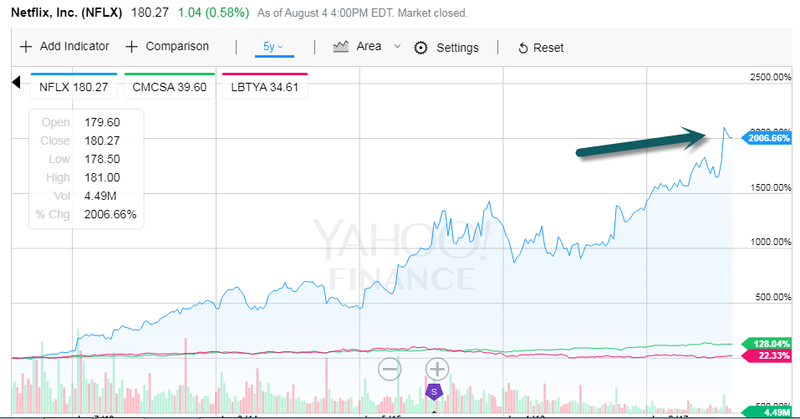 From Tim Hussar at Wharton Hill Advisors. 3. 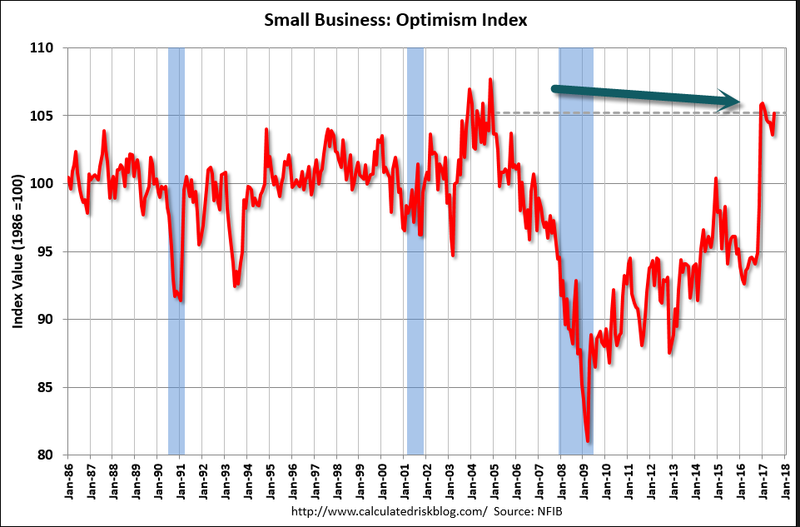 Small Business Optimism Back to 2006 Highs. The Index of Small Business Optimism rose 1.6 points to 105.2, preserving the surge in optimism that started the day after the election. Seven of the 10 Index components posted a gain, two declined, and one was unchanged. Since the recession, the Index peaked at 105.9 in January, just 0.7 points above the July reading. 4. Private Equity Sitting on $1 Trillion in Cash. With private equity firms sitting on a record amount of cash they’re struggling to invest, their clients are turning to exchange-traded funds for relief. With private equity firms sitting on a record amount of cash they’re struggling to invest, their clients are turning to exchange-traded funds for relief. BlackRock Inc. and State Street Corp., two of the world’s biggest providers of ETFs, say an increasing number of institutional investors are using their products to park money earmarked for private funds. 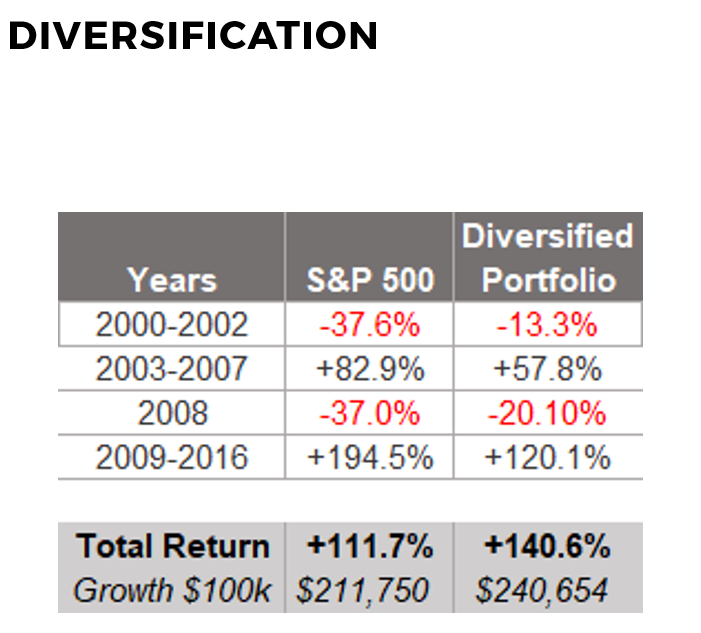 These investors — pension plans, foundations and endowments that are under pressure to meet obligations — are trying to eke out an extra return on cash that would otherwise languish in a money market fund. The amount of dry powder — money raised but not yet invested — could hit $1 trillion by the end of year in private equity alone, after reaching $963 billion in July, according to researcher Preqin Ltd. That’s pushing out the average time it takes for new commitments to start being invested to as long as three years, up from one year previously, according to State Street. 5. Netflix (NFLX) Now Boasts More U.S. Subscribers than all Cable Carriers Combined. I have highlighted cutting the chord data over the years. RBC Capital Markets estimates that cable’s subscriber base will decline by 3% this year, which would be about twice the rate of decline seen last year. Digital ad spending passed advertising outlays for TV for the first time last year. This year, the gap will widen to $10 billion—with $83 billion for digital, and $73 billion for TV, according to industry forecaster eMarketer. By 2021, the gap could be more than $50 billion. 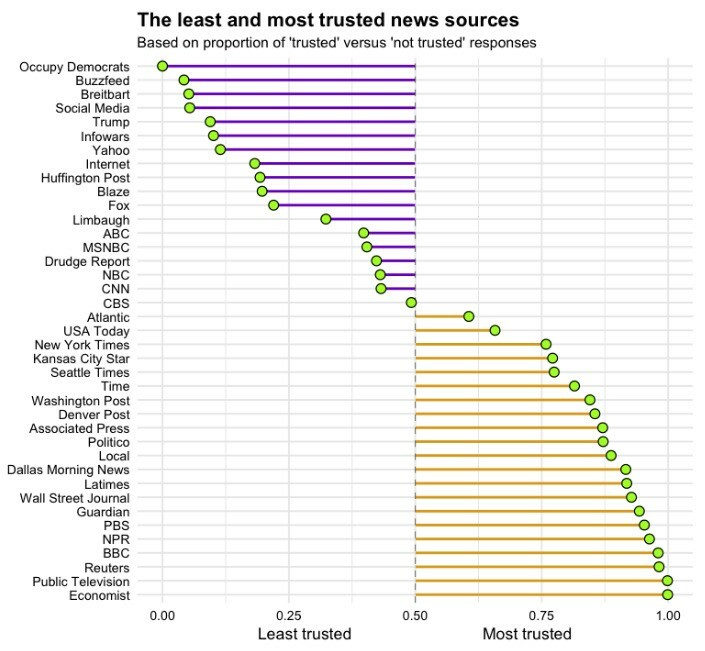 And while TV is in a spending race for content, YouTube and Facebook get free content created by their users. 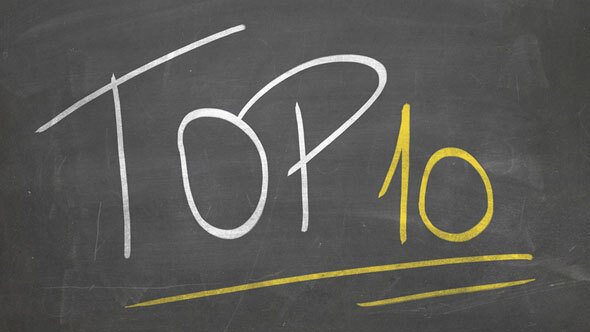 40 YouTube videos that have each been watched 10 times more than any Super Bowl. Advertisers are quickly shifting dollars online. 6. 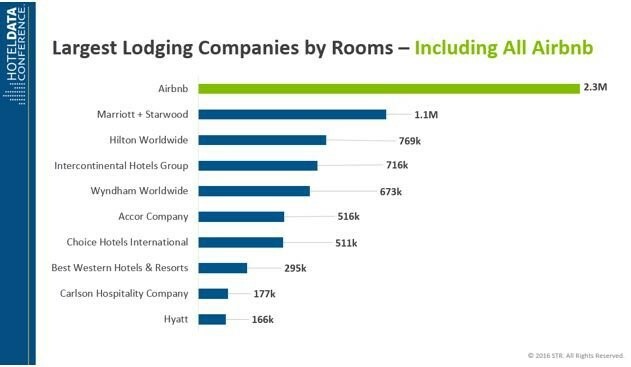 Airbnb is Now the Biggest Hotel Company in World. 8. 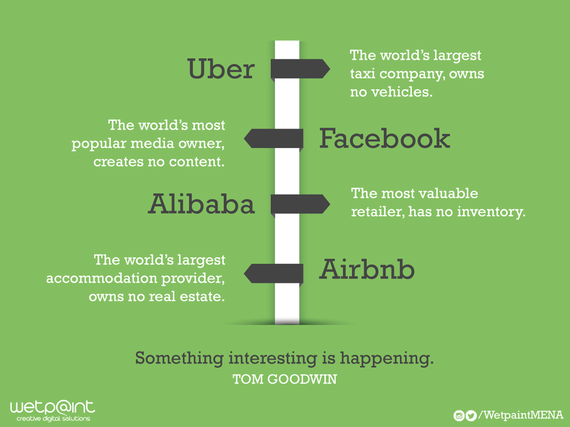 Must read article on how our lives will change dramatically in 20 years. 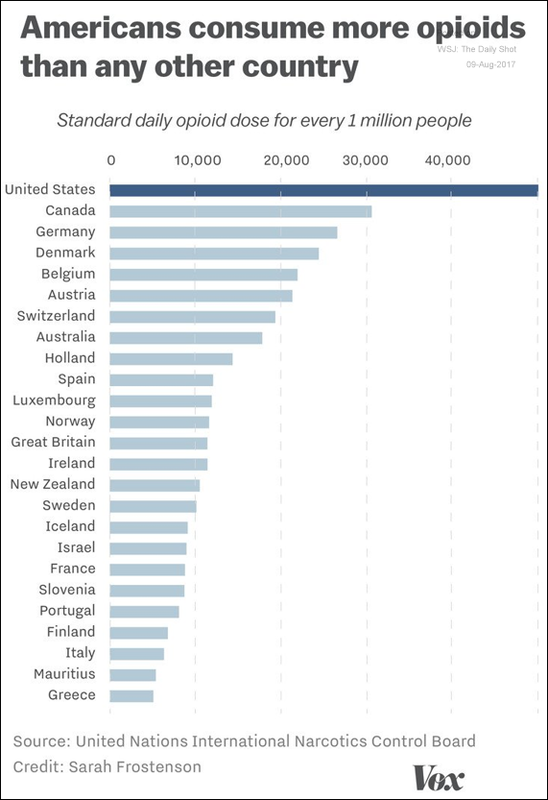 Food for Thought: Daily opioid dose. 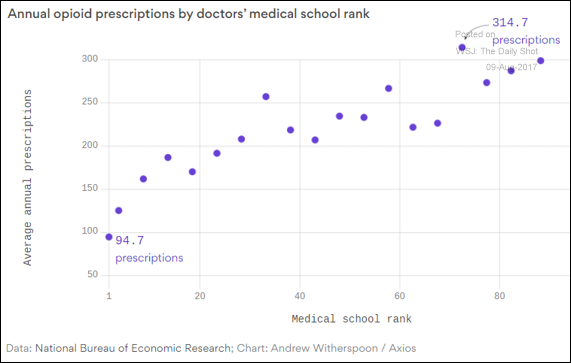 Physicians from better-ranked medical schools prescribe fewer opioids. Success is not extrinsic… It’s not measurable. “Success” can only truly occur internally, because it is based on emotion. At the most basic level, success is your relationship with yourself. Most people are living a lie. They purposefully ignore and distract themselves from what they deep down want for themselves. About the Author: Benjamin Hardy was the #1 writer on Medium.com in 2016. He is a husband and father that writes about self-improvement, motivation, and entrepreneurship. His writing is fueled by his personal experiences, self-directed education, and formal education.